We’re delighted to announce that we’ll be exhibiting our exciting cashless and POS service, Event Genius Pay, at next week’s Ticketing Business Forum, held in Manchester. Visit our stand and our team will talk you through how our system makes life easier for fans and staff, helping increase customer spend by up to 25% and reduce costs at any arena, theatre, stadium, sports club, exhibition or conference. Presented as part of our end-to-end solution, which includes white-label reserved seating, online ticketing and much more, we’ll give you the chance to get hands-on with our hardware and show you how we can provide meaningful data about your fans purchasing journey, from tickets, to tills and beyond. If this sounds interesting and you’d like to learn more, our team can help.  They’ll be on the Forum show floor at the Emirates Old Trafford in Manchester and will be attending the Ticketing Business Awards ceremony, where Event Genius Pay has been nominated for the ‘Product Innovation Award’. So whether you just want a quick chat over a drink, some information to take away or want a full demo of services, we’d love to hear from you! Contact us via email or call us on 0113 350 4114 and we’ll be in touch.